If your insurance company has underpaid or denied your property damage or theft claim, The Lane Law Firm is here to help. Our passion is helping our clients turn around their tough situations - just as we've done for more than a thousand clients since 2009. Has a windstorm, hail, or natural disaster affected your home or business? How about a fire, theft, or vandalism? No matter the cause, if your claim has gone unpaid or underpaid and you still are in need of repairs, you need to take action right away to protect your property and your rights. If your insurance company is undervaluing, delaying, or refusing to pay your insurance claim as they should, you may need a insurance claim lawyer to vigorously advocate on your behalf. If you have received money to pay your claim but your mortgage company refuses to release your money, you need an experienced insurance lawyer. You don't have to accept a denied insurance claim in Texas! Often, insurance companies will push back on a claim saying it is difficult to determine when the damage occurred or a roof just needs to be repaired and not replaced - putting a Band-aid on the problem rather than fixing it right the first time. Some people don't even realize they have a claim until a year or two after the storm when their roof starts leaking. We have technology that will confirm if a storm occurred at your property, and when. Hurricanes, thunderstorms, tornadoes, hail and high winds can cause considerable damage to residential and commercial property. Sometimes, even though property owners did their part by having insurance and paying premiums on time, claims after a storm can still be delayed, undervalued or even denied. If you have any kind of loss related to any of the above areas, or simply have a question related to your claim, call us at 877-408-3328 or schedule a no cost, no obligation consultation at a time convenient for you. 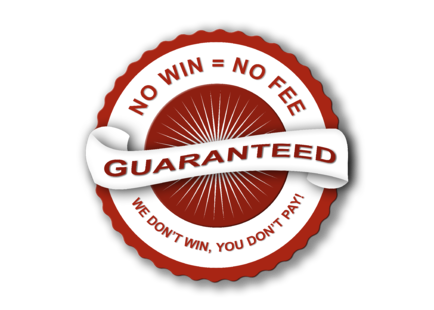 At The Lane Law Firm, we provide vigorous representation for our clients facing a wide range of insurance claim issues for both residential and commercial properties, all without any out-of-pocket expense. We understand the problems and frustrations that a denied or undervalued insurance claim can cause, and we can strongly advocate on your behalf with the insurance company in order to get the funds to which you are entitled according to your policy. Don't be a victim twice - fight back with The Lane Law Firm! Want help getting your client’s insurance company to pay their claim? Has your hailstorm insurance claim been delayed, denied, or underpaid? The Lane Law Firm has helped hundreds of property owners resolve their hail claims over the years, and we want to help you too! Click here to schedule a free consultation and case review. 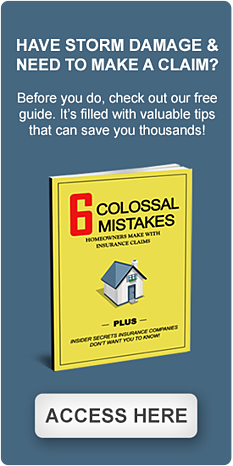 If you haven’t made a claim yet, check out our free guide: 6 Colossal Mistakes Homeowners Make with Insurance Claims. In 2017, Texas led the nation with 747 major hail events, impacting an estimated 1.3 million properties. Most hailstorms in Texas occur in the spring between March and May, but they can occur any time of the year. Hail is often the most damaging part of a severe storm and can cause serious damage to roofs, windows, siding, and other parts of your home, apartment, or office building. We hear about golf ball and even baseball-size hail, but the truth is that the intensity of the storm is more important than the size of the hail. Even dime-sized hail can cause damage that may not be immediately visible. In fact, it can take months or years and another storm to fully expose the degree of the damage. By then it may be too late to report your claim. Not sure if your home or business was hit by a hail storm? Give us a call at 877-408-3328 or schedule a free appointment to find out for sure. We'll use our interactive storm tracking tool to verify whether a storm occurred at your exact address. Has your windstorm or hurricane claim been delayed, denied, or underpaid? The Lane Law Firm has helped hundreds of property owners resolve their windstorm claims and we want to help you too! Click here to schedule a free consultation and case review. If you suspect damage but haven’t yet made a claim, check out our free guide: 6 Colossal Mistakes Homeowners Make with Insurance Claims. Smaller windstorms can also wreak havoc on homes, apartments, and commercial buildings. Such damage might be difficult to detect for months or even years, and might be hard to differentiate from normal wear-and-tear and damage caused by previous storms. For these reasons, windstorm damage claims are frequently denied and underpaid by insurance companies, making it essential to have an attorney and experts on your side fighting for your rights. As a policyholder, you are entitled to a fair and prompt settlement of your claim for property damage caused by a windstorm. Your insurance company has a responsibility to settle your claim promptly and in good faith. If your insurance company unnecessarily or unreasonably delays your windstorm claim, or fails to promptly settle for damage you incurred, you have a legal right to enforce your policy under the law. For a free case review and consultation regarding your rights, give us a call at 877-408-3328 or schedule a free appointment. Has your fire damage insurance claim been delayed, denied, or underpaid? The Lane Law Firm has helped hundreds of property owners resolve their claims and we want to help you too! Click here to schedule a free consultation and case review. Fire and lightning claims account for only 22% of all homeowners and renters insurance claims, but the amount lost per claim far exceeds all other claims. Cooking equipment is the leading cause of home structure fires and home fire injuries. Smoking is the leading cause of civilian home fire deaths with heating equipment not far behind. For businesses, the most common causes are faulty electronics, flammable and combustible materials, human error/negligence, and arson. A lightning strike can send an electrical surge of up to 1 billion volts through your electrical system, causing tens-of-thousands of dollars worth of damage to electronics. Although not that common, there are more than 100,000 insurance claims made each year as a result of lightning strikes. Your insurance policy should cover the repairs for damage sustained from a fire or lightning strike. But what happens when a disaster displaces you from your home? Most homeowner's policies include coverage for Additional Living Expenses, but those expense are not always readily reimbursed as they should be. Similarly, business policies often include business interruption insurance. If you need help ensuring you receive a fair payout following a fire or lightning strike, give us a call at 877-408-3328 or click here to schedule a free consultation and case review. Has your vandalism or theft claim been delayed, denied, or underpaid? The Lane Law Firm has helped hundreds of property owners resolve their claims and we want to help you too! Click here to schedule a free consultation and case review. According to FBI statistics, a theft or burglary occurs every 14.6 seconds. When it happens to you, you feel violated. Your only comfort is knowing that your insurance company will compensate you for your loss. However, all-too-often insurance companies delay, underpay, or outright deny these claims; believing the insured either caused the damage themselves, or are involved with over-inflating the value and/or quantity of the stolen items. Insurance fraud is rampant, so routinely the burden of proof falls on the victim to prove ownership and value. The insurance company may even hire an investigator and require sworn statements. If your insurance company fails to fully pay your claim promptly, you may need our help to make sure you are treated fairly. They have a team of lawyers on their side and so should you! If you need help ensuring you are fairly compensated for your vandalism or theft claim, give us a call at 877-408-3328 or click here to schedule a free consultation and case review. Texas homeowners count their homes among their most valuable possessions, if not the most valuable. It is worthwhile to protect this valuable asset, and homeowner's insurance exists for that reason. But not all policies are created equal. Picking the cheapest option likely will come back to haunt you when you need to file a claim, but paying more doesn't necessarily result in a better outcome. You need to find a balance of good coverage, affordable premiums, and quality insurance carrier. It pays to find out: Who are the Top-Rated Homeowner's Insurance Companies? Texas homeowners' policies offer coverage for damage or loss of several different kinds. The structure itself can be covered for repairs or rebuilding expense. Other structures on the property may be covered such as a garage, fence or utility building. Besides the buildings, their contents are protected by personal property insurance. Reimbursement may be available for items that are stolen as well as those destroyed or damaged along with the house or garage. When a home becomes unlivable, policies can offer loss of use coverage. This pays for living expenses if, for example, a house is extensively damaged in a fire and the owners must stay elsewhere. Texas homeowners' insurance also can pay personal liability expenses if someone suffers a loss that the homeowner is legally responsible for. Insurance covers medical expenses for people injured on the homeowner's property, and may even pay for some other injuries away from the house. Many of these protections are optional and not included in low-cost policies, so make sure you understand your policy and what it covers before you need to use it. The amount of insurance will vary with the amount the homeowner wants to pay and the type of policy. One person might want to pay more for an all-risk or comprehensive policy that offers a broad range of coverage for all kinds of losses. Someone else might prefer to pay less and buy a named perils policy that specifically lists the causes of loss that are covered. This is often done to reduce the cost of premiums and/or to partially self-insure if there are funds available to cover the uninsured portion of the potential loss. The payment the insurance company promises under its policy might be for the replacement cost of what is lost or damaged, or for an actual cash value specified in the policy. The specified cash value might not be enough to make all needed repairs if a home is severely damaged or destroyed, so it is important to be well informed when deciding on this option. It may be tempting to go with the cheaper premium option here, so compare coverage as well as your risk-tolerance and ability to pay out-of-pocket should you have to make a claim before selecting solely on price. You should be aware that flood damage is not covered under most homeowners' insurance policies, but the federal government offers a plan through The National Flood Insurance Program. To help with the potentially devastating effects of floods, the government plan can provide building or contents coverage, or both. Rates are fixed and policies are available through most homeowner's insurance agents. Coverage is typically inexpensive in low-risk areas and more expensive (and required by mortgage lenders) in higher risk areas. Be sure to consult a flood map to understand your property's flood risk. Building coverage will pay for damage to systems and major components like furnaces, stoves and carpeting. Contents coverage is mainly for personal items. There are many tools for comparing insurance policies on the internet including the Office of Public Insurance Counsel, HelpInsure.com, and Reviews.com. Insurance is designed to provide us with the help we need, when we need it. But sometimes after a claim has been filed, the insurance company may delay, deny or undervalue your claim. They may say damage occurred before the storm, you don't have coverage for that, or that your policy only covers a portion of the damage. 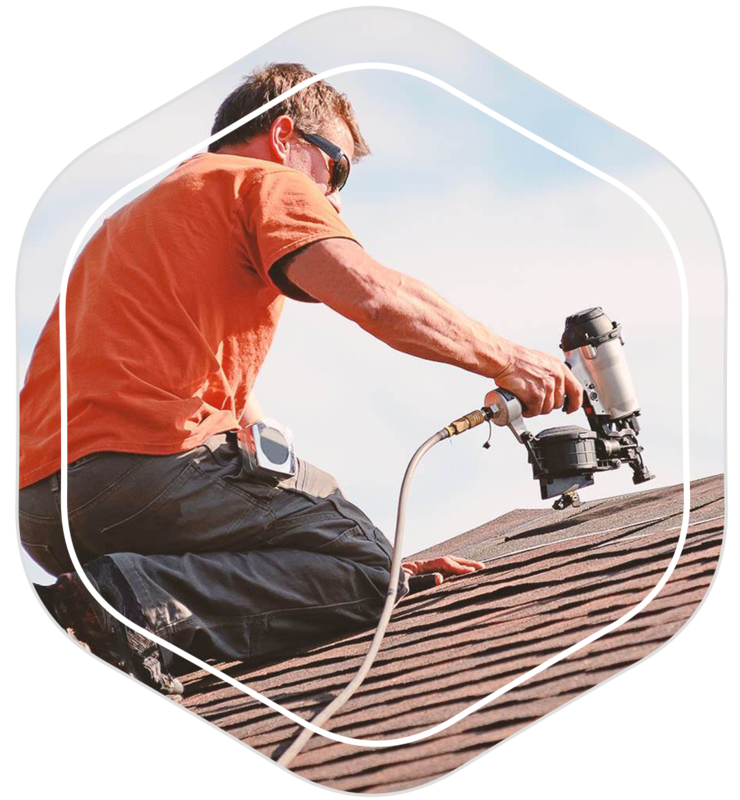 If you have multiple roof leaks, for example, your insurance company may require you to submit separate claims for each leak. If you were to do that, you'd have to pay a deductible for each claim, which would leave you with little or no money to make any repairs! It would also leave you with multiple claims made on your CLUE report, which would affect your future premiums and ability to obtain insurance. Yes, insurance companies go to absurd lengths to avoid paying out claims. Recovering from a setback, like a devastating loss to property caused by fire or other disaster, can be a life defining opportunity. Usually insurance will cover much of the cost of repairs and rebuilding, but the whole process of filing and successfully recovering on an insurance claim can be time-consuming and difficult. Depending on the loss a homeowner suffered, it can take some time for the insurance company to respond after being notified. After a major storm, it can be difficult to gain access to whole neighborhoods and the claims process will be delayed. Ordinarily, policies require that after receiving a homeowner's written claim an insurance company must respond within 15 days. The company will ask for documentation of the loss and has another 15 days from receiving the documentation to make its decision whether to pay the claim. Finally, once it approves a claim, an insurance company is required to send payment within five business days. A homeowner can help by providing excellent documentation to the insurance company. It is helpful to take pictures of damage and to make lists of possessions that have been lost or destroyed. The homeowner is responsible for proving what caused the loss, which may be trivial when a hurricane came through, but more complicated when there was a break-in or a kitchen fire, for example. An insurance adjuster will investigate, but the homeowner should be proactive in gathering information and data, possibly hiring an independent expert. It is important to get accurate estimates about the value of the loss and the cost of repairs. Building contractors will probably be helpful in assessing structural damages. Some homeowner policies have coverage for additional living expenses. When a home is damaged so that no one can live there for a while, this kind of coverage will pay for other housing. Homeowners should clarify the extent of coverage their policy provides. People who have been through the experience suggest being sure to find temporary housing that is adequate for the family size; jamming too many people into small quarters makes an already stressful situation even more stressful. In order to be adequately reimbursed for additional living expenses, homeowners must diligently keep records. Anything bought because of having to move out of the house for a while - even toothbrushes - should be tracked and documented with receipts in order to recover the full expense of being displaced. Families who are trying to get their homes repaired after an accident or disaster need strong allies, and among them may be an attorney who specializes in dealing with insurance companies. Experienced attorneys like The Lane Law Firm will know how and when to put pressure on an insurance company to ensure the homeowner's rights are protected. Getting back to normal may happen faster with this kind of assistance. "After Hurricane Ike, my business received a trivial sum above our deductible because the insurance company said the damage to our building was "not that bad." We knew this was wrong because our roof had leaks all over it after the storm. We contacted Mr. Lane, who helped us recover over $1,000,000* more than was originally paid. Mr. Lane and his staff were fantastic!" "Our house was broken into and we felt like we were violated twice - first by the burglar and second by the insurance company who treated us as though we committed the crime! Many thanks to the whole crew at The Lane Law Firm who fought hard for us to recover every dollar of what was stolen from us. Without you guys we would have lost everything. Thank you, thank you, thank you!" "Our home got hit pretty hard by a hail storm - you could see little dents all over our shingles. Most of our neighbors got new roofs, but our insurance company said ours just needed to be patched up. Our roofing guy referred us to Ron and The Lane Law Firm. They fought our insurance company and got us a new roof as well as money to fix items we didn't even realize had damage, all without any money out of pocket!" "Mr. Lane helped to negotiate a settlement for my claim for my homeowners insurance. The favorable outcome is directly attributed to his efforts. I wouldn't hesitate to recommend he & his firm."